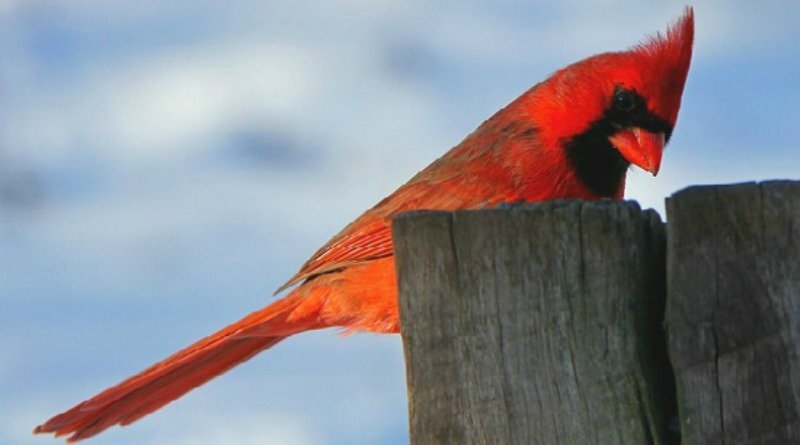 Here in Ohio, anyone can see a beautiful cardinal easily. Since they are all over the place all year long here in Ohio, just look around and you are bound to see one. Of course, the male cardinal (Cardinalis cardinalis) is the bright red one with the crest and black markings on its head. The female is a tan color but with reddish coloring on the wings. Sometimes you may see what looks like a cardinal but with no crest. This could be a scarlet tanager which doesn’t have a crest nor black markings on its head. On the other hand, it could also be a juvenile cardinal which has yet to grow its crest! But the missing crest on a cardinal could also be due to molting which sometimes occurs all at once and on its head, therefore it loses its crest until it grows back in. Loss of these feathers could also be caused by lice which usually infest most wild birds. The lice eat away the feathers so when the feathers fall out, the lice die off and new feathers grow back. Lice are usually more of a problem in early fall. You can fill your feeders with sunflower and safflower seeds to attract more cardinals. 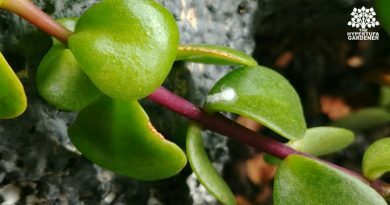 Planting berry-bearing bushes and hedges also helps to feed them naturally. 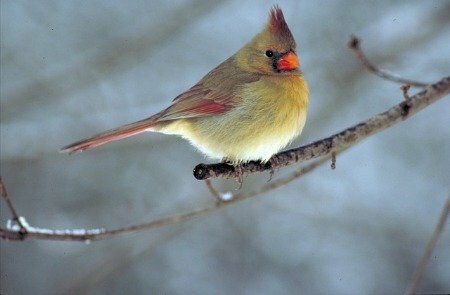 Cardinals do eat insects and spiders and many seeds and berries, but when winter conditions or drought makes it hard for them to get food, supplementing with your feeder is a good idea. The nest is usually fairly close to the ground and the male carries food to the nesting site to feed his mate and the hatchlings. When one brood is raised and off to fly away, the female again goes to nesting and lays another clutch of eggs. A woman’s work is never done! 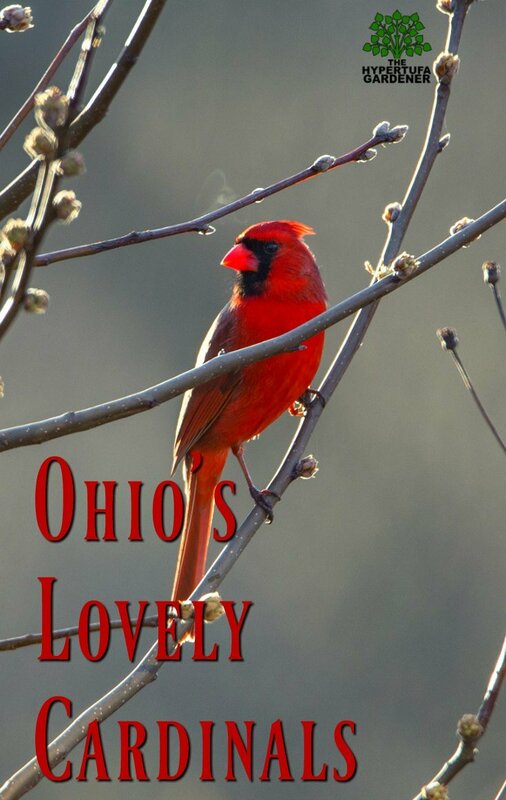 Interestingly, the cardinal we have here in Ohio doesn’t migrate but stays around its own territory which would usually be where it was born. So the ones you see in your backyard just could be the same ones from last year. Cardinals or redbirds have a very recognizable song and you can hear it in this video from shutterwi on YouTube. 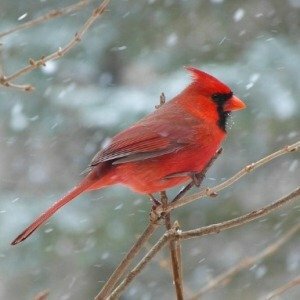 Cardinals are the state bird in Ohio and also in other states such as Illinois, Indiana, Kentucky, Virginia, West Virginia, and North Carolina. I guess we are all fans of that pretty red bird. How many of these do you see in your gardens and yards? Aren’t they so pretty against snow! Thanks for reading and be sure to visit the Facebook Page. 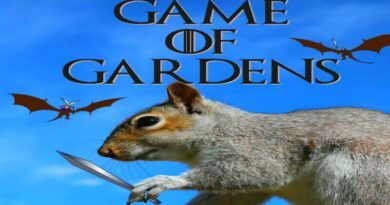 Game of Gardens – And I Am The Khaleesi! 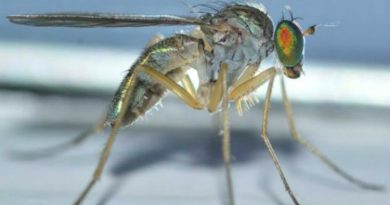 Bring The Plants Indoors, But Not Gnats!